Sauce are an essential part of almost any dish, whether you are eating breakfast, lunch, dinner, or dessert. 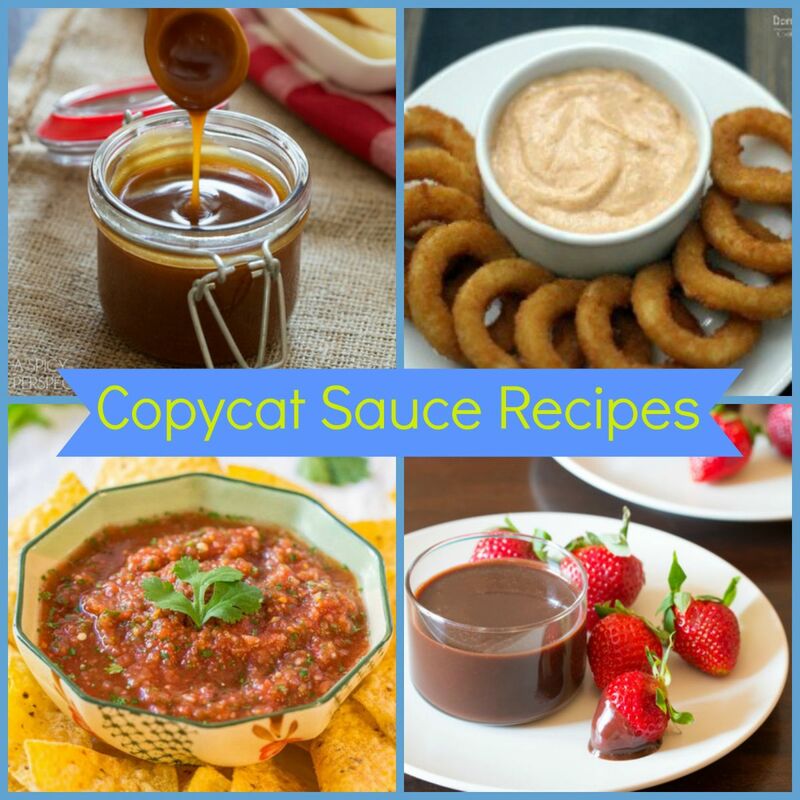 This list of our favorite 13 Best Copycat Sauce Recipes from AllFreeCopycatRecipes.com will give you ideas for what sauce to serve with your next homemade meal. Whether you are looking for the perfect homemade caramel sauce for an ice cream sundae, or you are looking for a tasty dipping sauce for your favorite fried appetizers, there are some great suggestions below. In this list, we have sweet sauce recipes for your dessert dishes, savory sauces, and creamy sauces, like gravy, for when you're craving something hearty and filling. Most people pick up their sauces from the grocery store, but the homemade version is far tastier. Now you can try your hand at making your own sauces. Some of these are copycat recipes from popular restaurants such as Chick-fil-a or Cracker Barrel. Slow Cooker Dulce de Leche - This sweet dessert sauce can be spread on graham crackers as a snack, or it can be warmed up and used as an ice cream topping. Homemade Salted Caramel Sauce - This homemade salted caramel sauce is so good that you'll never want to use the store-bought version again. 2-Ingredient Chocolate Fondue - You can use this recipe to make fondue for a party, or use it as a delicious chocolate sauce for sundaes. Fresh Homemade Pesto - Nothing can compare to fresh, homemade pesto. If you knew how easy is was to make, you'd do it all the time. Homemade Enchilada Sauce - This enchilada sauce has the perfect blend of spices. Use it to make restaurant quality enchiladas in your own kitchen. Easy Restaurant Style Blender Salsa - This salsa is incredibly easy to make, but it tastes like it came from your favorite Mexican restaurant. Arby's Roast Beef Sauce Copycat - This sauce is ideal for any homemade roast beef sandwich. It tastes just like the Arby's original recipe. Copycat Chick-fil-A Polynesian Sauce - This sweet and tangy Polynesian sauce is perfect for chicken nuggets. Our Version of Cafe Rio's Tomatillo Dressing - This creamy ranch sauce tastes great in burritos or salads. You'll love this copycat sauce. Cracker Barrel Copycat Sawmill Gravy - This thick sausage gravy tastes like the Cracker Barrel version. It tastes amazing when served with biscuits for breakfast. Mexican Restaurant White Sauce - This recipe for white sauce is the perfect copycat of that slightly spicy white sauce that is served with chips at Mexican restaurants. Comeback Sauce - This classic Southern sauce tastes great with almost any dish. Copycat Outback Steakhouse Blooming Onion Sauce - This is the perfect dipping sauce, not only for blooming onions, but for any fried treat.